Working with Pierre Dinand, [and, noted herewith, that collaboration, here] in Paris — in the making of a shopfront signing, lasercut from solid brass, buff-scrubbed, bead blasted, then polished — Saint Germain-des-Prés, Rive Gauche, 6th Ard., just off the Seine. 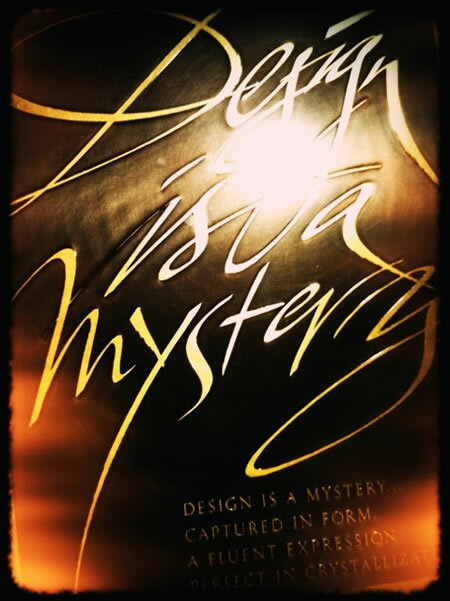 Why would there be any mystery to design? There are those that might presume that design is a cognitive, iterative process that is more akin to “thinking” – we’ve noted, spoken on: design thinking. 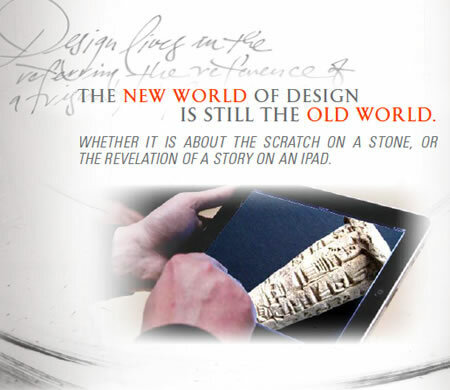 But design, it’s very original work/word structure is linked to the sign, the signature, the mark. And, mystery — dream, the mist-mind of the journey of creativity, and exploration. Inspiration comes from walking on the other side of things — seeing them, sensing them, differently. Emotionally — and what voice comes from emotion? Movement and momentum, to the new, the forward, the future. The interpretation is entirely of the person, the evocations are personal — the voicing of design comes from the human. Coming from that place, the labyrinth of interpretations, it is laden with personalized nuance and character. The Spool: Papiota Café: Cut, sew, drink -- a new mix.